EBS combines the heritage and expertise of two of the world’s most prestigious and respected spirits producers, Edrington and Beam Suntory. 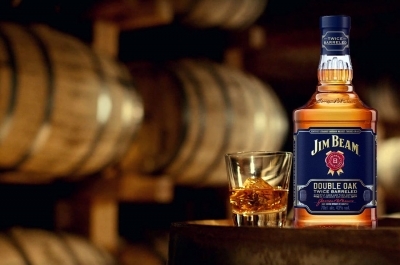 Managing the sales, marketing and distribution in the UK for many of the world’s most iconic brands including Jim Beam, The Macallan, The Famous Grouse and Courvoisier, the company sought to further innovate its internal operations in an attempt to grow its distribution network in the UK. The company wanted to further promote the transparency of operations and metrics across its business. This meant implementing a system that allowed company sales data and pipeline information to be available to all staff, from managing directors through to the front line sales teams. It was in an effort to implement digital transformation across the business, with the aim of increasing productivity and efficiency across all sales teams. Ultimately providing a platform for the business to grow. Prior to Domo, EBS struggled to migrate sales data into anything that was credible and trustworthy. Data across the teams operated in silos, brought to life only through Excel documents and third party systems such as SalesForce and internal CRM tools. These separate and incompatible sources meant sales reports were taking up to three days to complete, draining resource that could be spent on business strategy, as well as ultimately producing sales data that was up to a month old. It was this old data that was the greatest cause for concern, as it led to issues in sales performance. Accounts were being lost, but teams were being notified and working from reports that were too late to rectify any issues. Sales teams were even duplicating calls as a result of data that hadn’t been updated - leading to up 200 more calls being made per year. EBS initially introduced Domo with the single view of consolidating its data and providing transparency of KPIs, budgets, profit and losses, online sales and competitive information for all staff to see company wide. Through Domo, the business built a dashboard whereby staff could monitor and track on target and lagging KPIs, but beyond this, they wanted information to be split into outlet sales data, brand and market share data, granulated to the point of splitting out which brands are performing the best. This was all achieved through a combination of daily uploads and real time data from plugins such as Salesforce. EBS also wanted to capitalise on the live function offered by Domo to understand where there was previously misalignment in their sales figures - this was due to the fact that data exported from third party systems was often inaccurate and dated. In doing this, EBS would be able to not only maintain, but also grow business with existing outlets, tailoring their offering where needed - something that wasn’t able to be done before. One of the strongest outcomes has been the confidence reinstated in the sales teams and their managing directors. The Domo system allows for viewers to see who has been navigating and checking the site, even sending tailored alerts to users, letting them know once a specific managers have been in to check on KPIs. This not only allows senior leadership to stay up to speed on progress, but it also provides sales teams the insight into the priority areas for the week - and all of this is possible in office, or on the move via the mobile app. Another key goal in EBS’s pursuit of digital transformation was for it to be realised by all staff. From the frustration of monthly sales reporting, it was now reduced from three days to less than an hour thanks to the ability to use live data from the Domo dashboard as a replacement to manual presentation slides for company meetings. It provided complete transparency for senior leadership teams to track and push their teams to a higher level. As a result of streamlining internal processes through digital transformation, EBS’s core metrics and business outputs have seen a huge increase. Since the implementation of Domo, there has been a 72% increase in productivity across the business. One example of this is time spent on sales calls per day, rising from 47 minutes to 65 minutes. It is these types of efficiencies that lead to bottom line results, including EBS’s 33% increase in distribution over the last six months. By streamlining internal efficiencies, EBS have now built an infrastructure that is not only seeing the financial rewards, but providing all employees with satisfying and fulfilling workplace as well.